A debate held at Heriot-Watt’s Centre for Finance & Investment examines how such a perspective can sit with the need for profitable shareholder returns. Ethical investment seeks to achieve both a financial return and create social value. It covers many investment strategies, often focusing on environmental outcomes, social benefits and strong corporate governance. More conventional approaches to ­investment might be associated with ­maximising financial returns. So when the Centre for Finance & Investment (CFI) at Heriot-Watt University and the Ethical Finance Hub recently joined forces to hold a debate on the motion “Ethical investment is the pursuit of shareholder value”, it might well have seemed easy to dismiss the notion. Proposing the motion, Robin Angus of Personal Assets Trust and Bill Dinning of the Medical Defence Union, argued for a narrow interpretation of it. They argued that it was a binding concern for them as professional fund managers. Professional managers have a fiduciary duty and must act according to the wishes of their investors who, in turn, may choose to act ­ethically if they so wish. In this view, investment professionals are ethical if they follow the wishes of the investors. Professor Iqbal Asaria of the Cass ­Business School and Tomas Carruthers of the Social Stock Exchange opposed the motion, seeking to widen the argument to consider investment as a socially-beneficial activity, rather than a professional activity. They found it easy to provide examples of companies which claim to pursue shareholder value, but which have promoted more self-interested objectives. They argued that shareholder value as a corporate objective has been found ­wanting in promoting ethical behaviour. ­Professor Heather McGregor, executive dean of the Edinburgh Business School, reminded the audience that the power of the market was an important reason for the wealth of society and that shareholder value should not be lightly cast aside. This argument has been well understood since Milton Friedman brought it to ­public notice in 1970. He decried any attempt to impose duties on companies other than serving the interests of shareholders. The response to that argument has come to be known as stakeholder ­theory. It argues that companies should ­promote the interests of each and every group affected by its activities. Shareholders are just one, important, interest group. And directors, ultimately, should promote the interests of the company as a whole. The economic critique of stakeholder theory, stated very clearly by Michael Jensen in 2001, is that pursuing any goal other than shareholder value increases the costs of monitoring managers’ behaviour, while reducing accountability to shareholders. The pursuit of multiple objectives will require trade-offs. With no meaningful way to measure or guide performance across the range of objectives, Jensen suggests that managers might prefer stakeholder approaches since accountability will be lower. 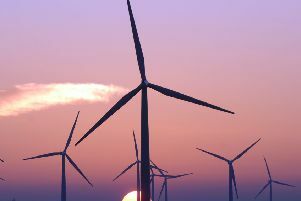 Put ­simply, responsible investing will impair the firm’s performance. Evidence, both in the academic literature and from practitioners, indicates that ethical funds can match the performance of index funds. Notorious failures in the early years of ethical investment have been replaced – especially since the financial crisis – with the situation where many ethical funds perform as well if not ­better than their competitors. Yet the focus of the CFI debate was not on the desirability of ethics per se but, more specifically, on the role of investment professionals as the agent of the shareholders and the suitability of the objective of shareholder wealth maximisation as a means to creating social value. Both sides agreed that ­companies should be socially responsible. It was notable that all the speakers emphasised the limitations of shareholder value theory. Even the professional investors were reluctant to use it as a guide. All speakers agreed that responsible investment can be conducted at little or no cost to investors. A narrow majority of the audience at the CFI debate – a mixture of students, academics and investment professionals – agreed with the motion before the debate started. That was overturned with a more substantial majority against the motion by the end. We don’t claim that our debate has settled the issue. But it was very clear that, as our audience heard the arguments, they became more convinced that investment has to be much more than a search for profits – that it is not simply a narrow, technical, professional activity, but a broad range of processes and activities affecting society in many ways. That perspective opens up opportunities for novel investment strategies, and the Ethical Finance Hub will build on the outcome of the debate in promoting social responsibility in investment across Scotland.